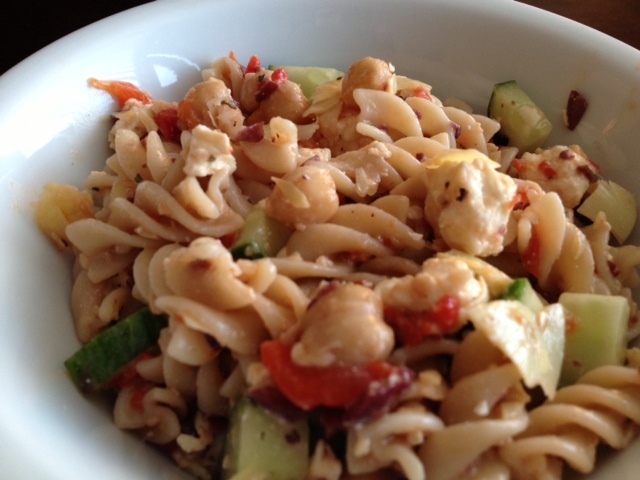 Gluten-Free Pasta Salad with Artichokes, Cucumbers, Chickpeas, Roasted Red Peppers, Kalamata Olives & Feta. 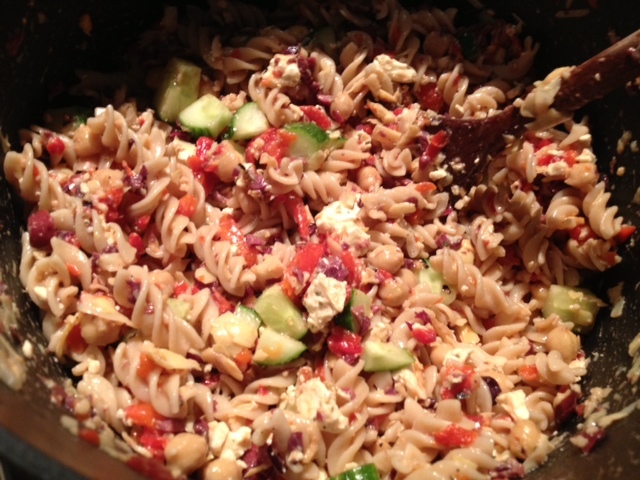 I made this pasta salad for a barbecue at my sister’s house this summer and it was super yummy and easy to make. 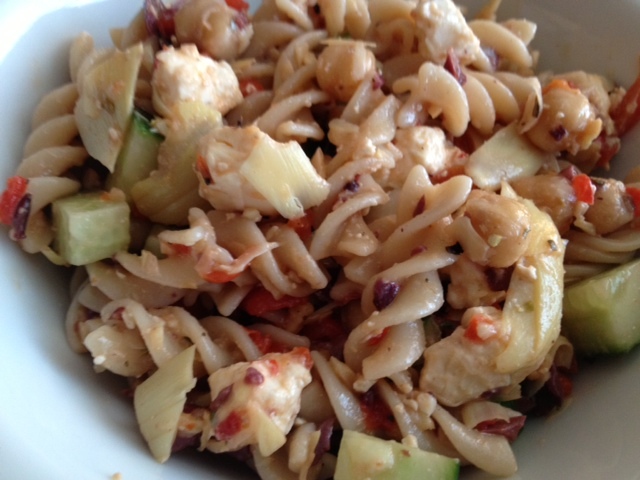 It’s filled with flavorful, bright ingredients and is also much healthier than mayonnaise based pasta salads. 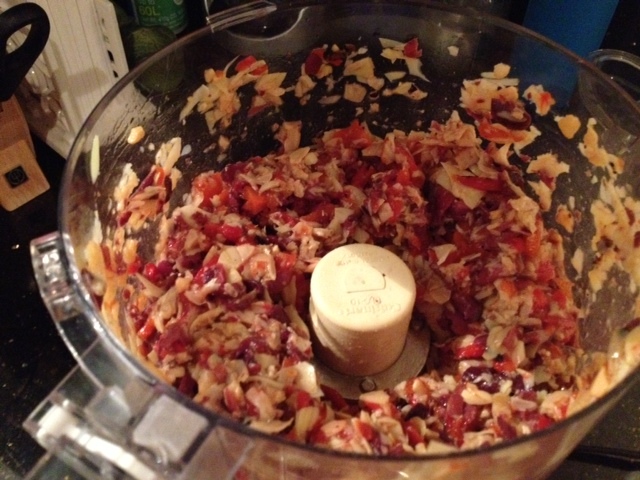 Put the artichokes, olives and roasted red peppers into the food processor and pulse 3 times to do a rough chop. 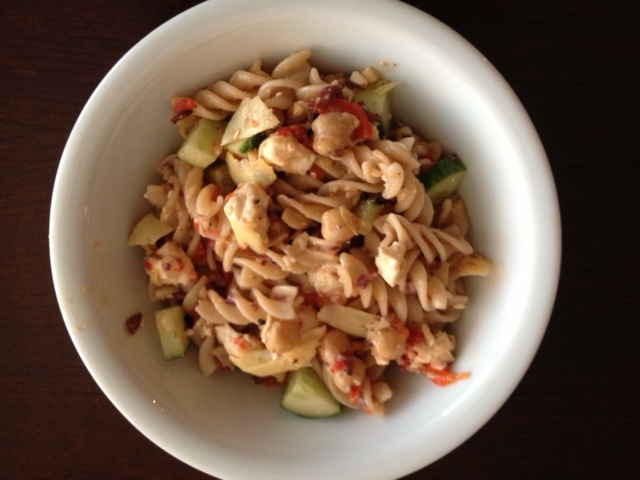 Stir in 3 tbsp olive oil to the cooked pasta and then add in the chopped ingredients, the cucumber, the feta, the chickpeas and the lemon juice. Add a dash of garlic salt/black pepper and toss well to combine the ingredients. You can serve this warm or at room temperature.